Hi, the SVG file does not have two different sizes for the succulent you demonstrate in pictures numbered 13-16 above. I saw in a post above that you had at one time deleted the file and had to reload. Was part of the pattern left out? Thank you. We call it Cardstock here, it’s anywhere between 80-120 lb. I don’t see the SVG file? Can I make these with crepe paper? Thank you for this! An amazing bouquet! What hasn’t been explained though is how to put these flowers onto a stem for a bouquet instead of a pin onto a wreath? 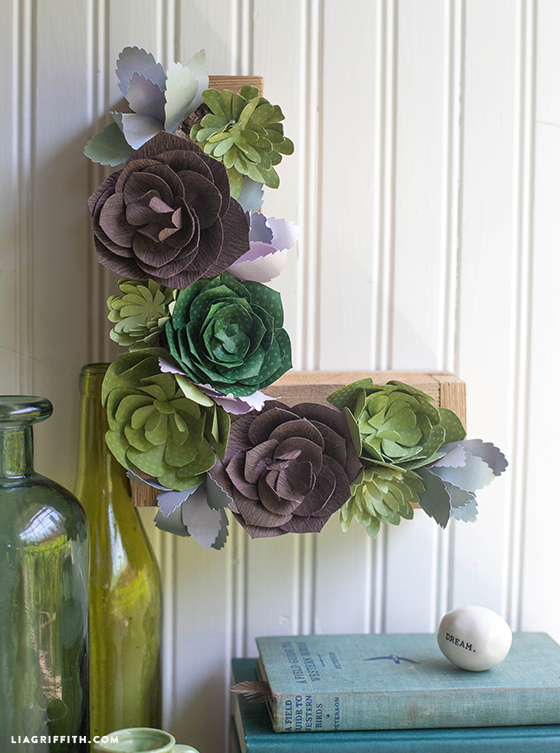 Hi Hayley, you can simply replace the pin with floral wire– here are a couple tutorials with methods that would work for the succulents: https://liagriffith.com/diy-paper-garden-rose/, https://liagriffith.com/paper-peonies-in-plum/. Have fun! I made a terrarium starring these paper succulents for my daughter to take to her college dorm room. So pretty, and they don’t require any care. A win-win situation. Thank you Lia Griffith! Hi! I don’t see the SVG file for download on this page. Can you please help? Thank you! Is it possible for me to just purchase this pattern? Do you have the link for the svg? Yes! 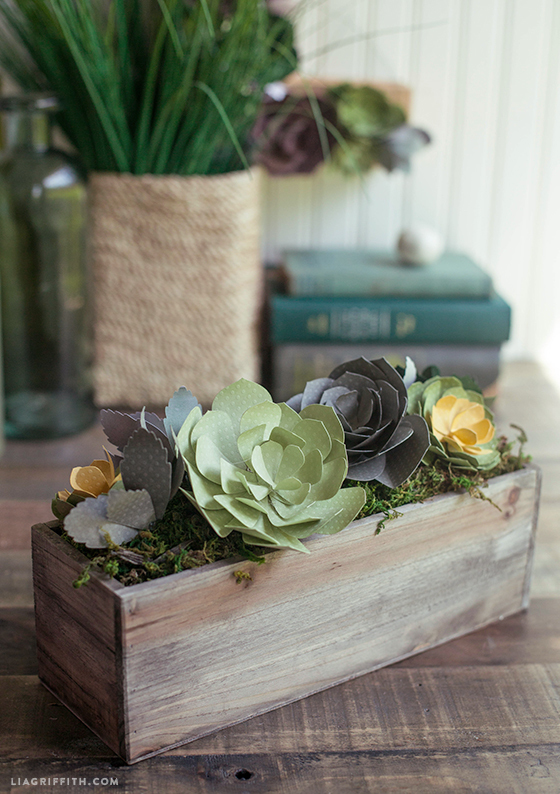 You can find an SVG for succulent templates in this post: https://liagriffith.com/pretty-paper-succulent-centerpiece/ I would also suggest browsing the different succulent posts by typing “succulent” into the website’s search bar 🙂 There are lots of possibilities! Where did you get the paper used in this tutorial? How many pages did you purchase for this arrangement? I’m interested in making this for a friend’s event. I’m having trouble with step 3 for the succulents. Could you please explain how to fold them? Thanks! They are not really folded, but the pointed tips that you create by cutting the slits are crossed to form a cup. Does this help? Hi, thanks for inspiration. I’ve already made one of these ? They’re gorgeous! Thank you! I love succulents!! Good idea. 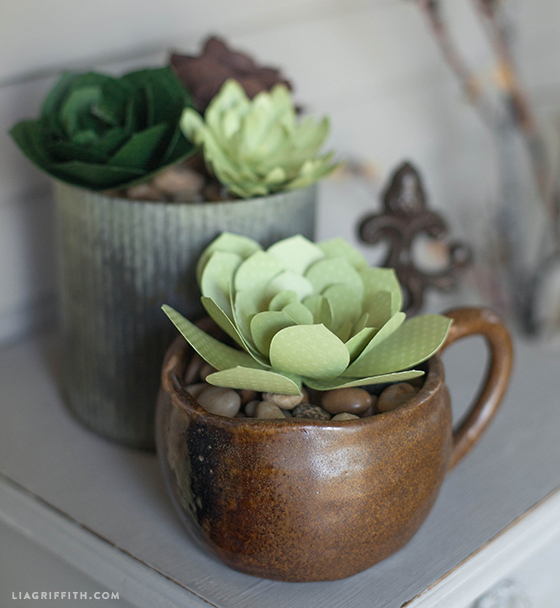 Succulents (these especially) are usually pretty hardy. Start with a new art board and reload it. Went into Michaels to find the paper you used for the succulents. When I asked about felted card stock they answered all they carry is felt. Not real helpful. Do you have another source for this product? I would pick any cardstock you like, lots of colors and options. It doesn’t need to be felted or with polka dots. 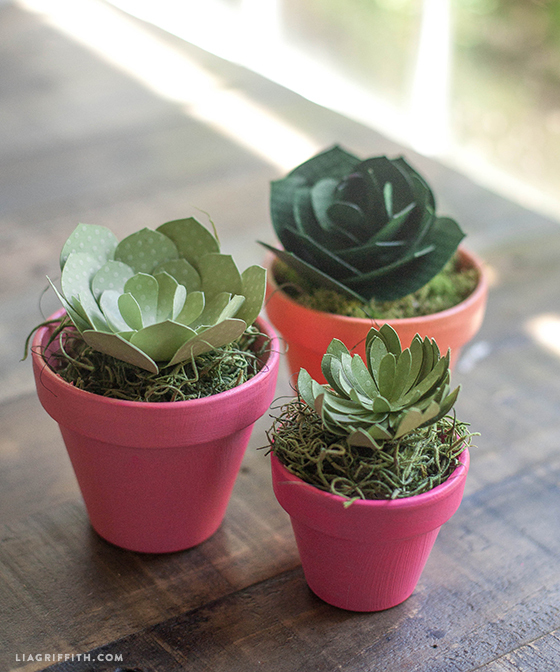 I downloaded the paper succulent PDF and do not see succulent pattern #1? Sorry, my bad;-) There are two number 2, one of those is pattern number 1. I just wanted to say thank you! I started making paper flowers for a friends wedding, and am now hooked! I’ve done the flowers for three weddings now, and have another coming up in August! The first two weddings were using your paper rose pattern, and the third was poppies and succulents. The wedding this fall is utilizing peonies, roses, ranunculus, and anemonies, all made from Italian Crepe! I’m having so much fun, and the brides are loving it, too! Oh, please help…. I’ve bought and downloaded the pattern from the circuit app on my iPad. However, I do not own a cricut machine, how can I print it to cut by hand? I can’t seem to find anywhere how to do it. Thanks for sharing! I actually have two Cricut machines and would actually like to start using them! Can you tell me what Cricut cartridge or template you used? Can’t wait to experiment with my Cricut cutters (finally, after several years of sitting untouched in their boxes) and this is exactly what I’ve been looking for! Hi Marty, for the succulents the pattern is hosted by Cricut at https://us.cricut.com/design#/newlanding/project/6622 this project was one of the finalist for the Design Space Star. Hope you enjoy it!! Sorry, I am a true beginner! I have just hand cut 3 succulents and really love them-thanks. 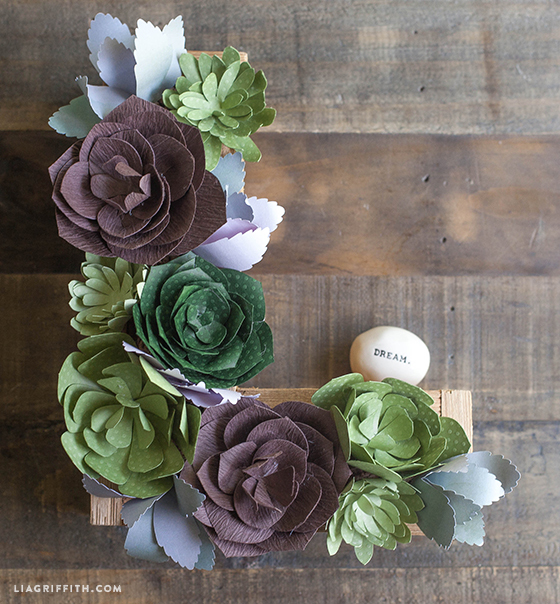 I have a wedding next year and am thinking of making some paper flowers, therefore will need a cutter. I have the Explore manual, but will I be able to upload a PDF to the Explore? It doesn’t mention that format. PDF doesn’t upload into the Explore but a jpeg will. Cricut customer service team can probably walk you through the steps. Good luck! Absolutely love these, as I love succulents, they are such cool shapes! Can’t wait to make, by hand however as I don’t have a cricut. Oh I wish!! I only use a low temp hot glue gun. Any brand will do. Enjoy! Share photos of your work. Ну разве можно подумать, что эти цветы не настоящие? Эти суккуленты такие милашки!Лия, это потрясающе, спасибо Вам! thank-you so much for your generosity in sharing the template and tutorial. These have been a lifesaver for me as I plan to use them for wedding favours for my interstate and overseas guests as they can’t take the real succulents home with them! perfection! plus they are so fun to make. What a great idea! Congratulations on your marriage! J’aime vraiment tout ce que vous réalisez.Je me met à la tache pour tout faire. Gorgeous! I need to make these. Congratulations! I am so excited for you!! 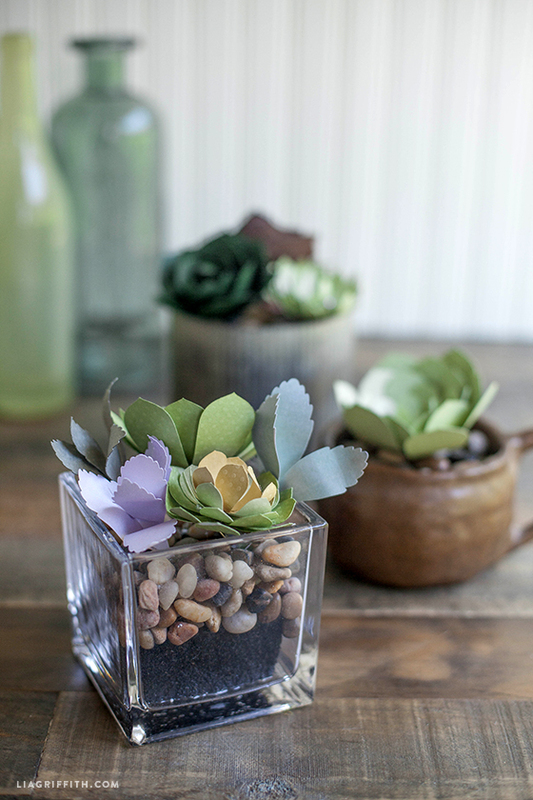 I finally glued together my first three succulents, Then took them to my daughter, the true crafter; She loved them! I am so darn proud of myself! Next up, a peony, I just received my first order from cartefini. So grateful for your shopping suggestions! How exciting, I am proud of you too! So happy to hear that you like Carte Fini, one of my favorite shopping trips:) Have fun making the peony. This is the most fun paper crafting project I’ve ever done! Thanks so much for the pattern. I used my Explore to help with the cutting, and my project turned out beautiful. I started making my own succulent wreath today based on your pattern but with different colors, and it is looking amazing. I have to make about 20 more flowers to fill it up, but I am excited to make something I’m proud of! Plus, the Explore saved me a tin of time cutting by hand! Thanks for your beautiful and fun design. 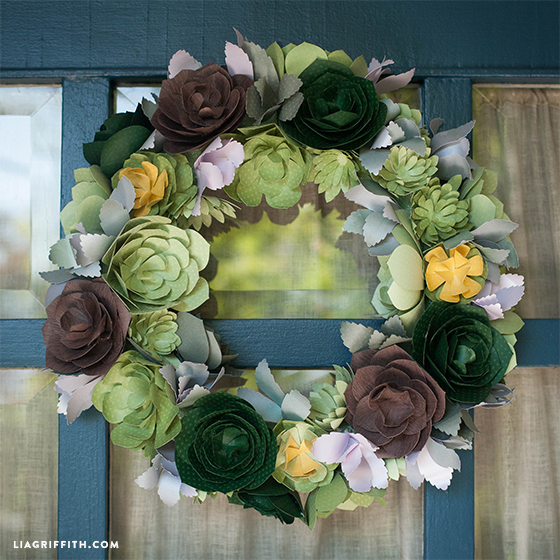 Hi Shannon, so happy that you like the succulent wreath. Have fun! Congratulations on being the July Design Space Star winner, Lia! Your wreath is lovely. Thank you so much! Thank you all of you for your votes! 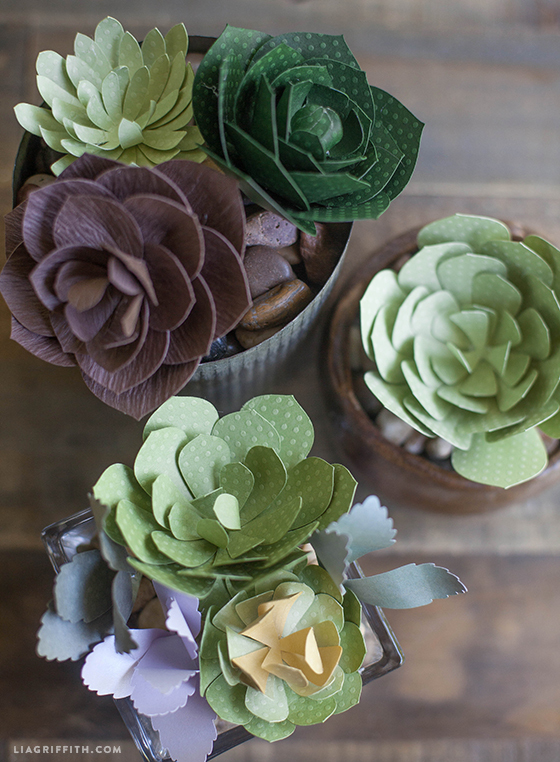 I LOVE these paper succulents! Any chance you’ll be sharing the svg files for these patterns? I tried to open your pdf file in photoshop to convert it to a jpg (for uploading to Cricut), but it’s saying the files isn’t a valid pdf for some reason. Thank you!! I will not be sharing the SVG files until I know who won the contest. Crossing my fingers that is will be available on Cricut soon. I do have a computer-just have to check if the system is current enough. I use my iPad almost exclusively! Thanks for the info tho. Yet another “Lia Masterpiece” to inspire us all. And can I say – you’ve tempted me in a way that you haven’t before. Although I have made a number of your gorgeous creations before – your feathers were my ABSOLUTE favourite – I am actually in love with REAL succulents and have loved experimenting using them with old books, recycled timber, etc. BUT . . . you have inspired me to have a crack-a-lack at making some paper versions. And, I may just have to tweak your design by using alternative papers. These are so cute I can’t wait to try them. I love the shades of paper you used, especially the polka dot ones. Your flowers are a delight. Thankyou so much for your generous share. I love all of you paper flowers they look so real. Thanks for all your hard work and wonderful shares. What to do ??? ?What to do??? the Cricut Explore has opened my eyes as to needing and wanting one….Now to start a savings in order to get one… I love all of the flowers that you create. You have made me purchase cardstock and a ton of ink for my printer….please keep them coming..and thank you for a chance to win if not there is always plan 2 the savings that I have started. It is at the end of this post. There is a button. Amazing machine….Never had one but sure want one. Love the succulents. I use mine every day for my business. Love the machine. Cricut explore question – can you use the explore with JUST your iPad or do you need to connect to a computer. 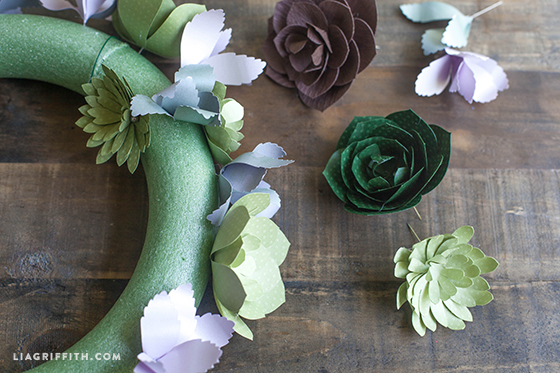 I LOVE your paper flowers and don’t mind cutting by hand but would like to have the machine option also! You can use your iPad for the Design Space project kits only. You don’t have a computer? Oh I didn’t know the Cricut Explore could do that! That’s amazing 🙂 Thanks! Hi Lisa!! I am in love with this!! I have a Cricut Expression but am unsure how you cut these with the machine. Did you use a cartridge? I realllly don’t want to cut them all by hand!! This is my design so no, I didn’t use a cartridge. I uploaded my design into my Cricut Explore (expressions will not allow you to upload your own designs sadly). You may be able to find some pre designed shapes that are similar to the ones in my design though. This is my personal design so I did not use a cartridge. The beauty of Cricut Explore is being able to upload designs. It is possible that this will be available through Cricut soon though so stay tuned. Cannot wait to give these a try. You are a constant source of inspiration. Keep it up! 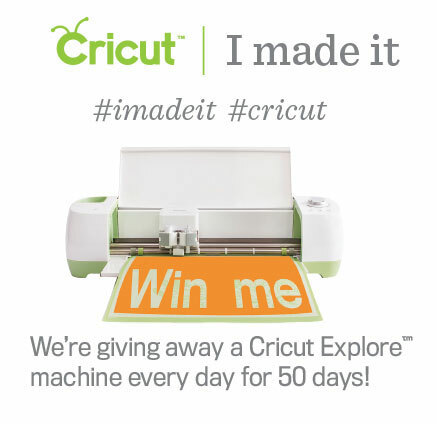 Would love to win the new Cricut and give it a try. Oh Lia! The wreath is beautiful! I am going to have to do this very very soon!I love all of designs! Another lovely pattern. Your designs are always so beautiful but I don’t always drop you a post to let you know. Well, now you know, THANKS a bunch. WOW! These are amazing, Lia!! Absolutely stunning! Love these succulents. Making a cut file for them. Pinned as well. These are amazing, just as all your work and designs are! Thank you for sharing your creativity! Ens fas unes coses tan maques que …em quedo sempre bocabadada !! Hi Lia! I love your work! Which diecut did you use? Many thanks! Thanks! I love these! They are just the right level of craftiness to get me started after a short hiatus. They are simple to make and are an eye catcher too! Hi Lia! I am wondering how u curl your leaves. I know it says with a scissors edge and I tried that with the hydrangeas and ended up ripping them. Any suggestions? I ended up using a colored pencil but they were too curly I think. Try closing your scissors and using the blunt edge rather than the sharp. Also, start gently and work up to a stronger curl. This will help you find that sweet spot without ripping. Every paper handles different. I don’t have a face book account. Does this mean I can’t get the pdf file? They are live now. You can download by clicking the button!